Marcus Coates wrote The Trip post the completion of his project with the Serpentine Gallery, where he was commissioned to work with the terminally ill patients at St John’s Hospice. The book was written after he visited the Amazon rainforest on behalf of Alex H., one of the patients he got close with. The book was his way of presenting an image of the place that Alex wanted to see but could not because of his physical and bodily restrictions. Marcus Coates’ work influenced my project in a major way. I find interesting his idea of taking on a journey for another person and using the mode of story telling to produce a shared consciousness where he acts as the medium where Alex’s imagination functions. A photographer of British origin her art mostly dealt with the issues aroused in the interest of women. This particular series of works deals with artist and her experiences as a patient diagnosed with breast cancer. The way artist has executed her work through photography was commendable. “This documentary photographs were taken from the patients point of view.”- Jo Spence. Considering the subject highly personal and emotional it takes a lot of courage to share it with people you don’t even know and people you would never meet. It left me worrying about reaction of relatives and people around my family and me. But the artist’s approach towards her work made me comfortable in executing my own work. The notion of depicting yourself not as a pitiable object but as a strong willed person gave a positive outlook to her illness and treatment. Her journey is definitely an eye opener for all the women who are oppressed for no other reason but for being a woman. It came as an answer to all the questions I was facing regarding my work, for all the unsolved problems I was yearning to solve. I now wanted to think from my mother’s point of view and how she might be feeling about her disability. It broadened my thought process and enabled me to prepare a research question for myself. While receiving answers to my previous questions, new queries would arise thus leading to another set of work and research. News from home by Chantal Akerman showcases the letters sent to Akermen by her mother when the director first visited New York city from Belgium. The movie consists of Akermen reading the letters aloud without giving any response. 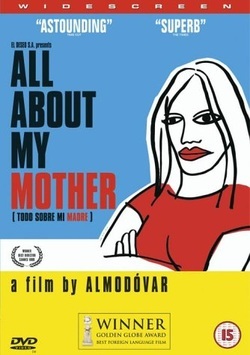 Rather than a bi-directional conversation between mother and daughter, the movie only shows the one-way communication where the mother keeps on talking without receiving any answer from the author. The movie creates a sense of ambiguity through the detachment /division between audit and imagery. Also Akermen’s camera was found to be fixed in frame and focus. However the movie through its aesthetic/creative template tries to reconcile the viewer, with minor variations throughout. The audio track of the film provides the noise of the surrounding accompanied by images and objectify with its conventional sounds of traffic, subway and surrounding of busy streets. But the sound is not always in sync with the images. This resulted in creating the sense of disengagement and confusion in the mind of the viewers. However this dislocation of theme in her movie might be an attempt by the director, to show the ‘change’ that she is experiencing after moving into a new city, a feeling of physically being present there but not filling in psychologically. Freud has described dreams as the “royal road to the unconscious”. All human beings carry within themselves repressed desires that are threatening and constantly attempt to take control of our behaviour. According to Freud, as long as we are awake our ego or conscious self represses these wishes but during sleep consciousness lapses and repression weakens. In such situations unconscious desires or wishes find a disguised expression via dreams. Thus, dreams serve as the wish fulfilment device. This characteristic of dream make them the “royal road to unconscious”: If we can decipher a dream and retrieve its meaning we will recover a hidden piece of our unconscious mind. This book gave me insight about my personal dreams and its hidden meaning. Dreams are symbolic representation of hidden desires. Dreams occur in symbolic manner because their actual expression might be very threatening or harmful. Dream thus has two kinds of content: a) manifest content, which is the dream as it appears to the dreamer; b) latent content, which consist of the actual motives that are seeking expression but are so painful that they are disguised. Freud in his book “Interpretation of dreams” has mentioned number of symbols with their underlying meaning. 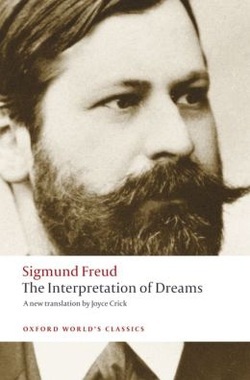 However Sigmund Freud’s Interpretation of dreams lacks scientific accuracy. Also, many of Freud’s ideas have received little or no validation from current dream research. Despite of all this, his work on dreams is considered to be classic and intriguing till date. I came across this movie’s DVD at Wimbledon College’s library and picked it up at once. The title itself was so intriguing. No wonder I was completely blown away by the movie when I first saw it. Unknowingly a connection was made with the characters. Considering the fact that movie was in Spanish, language was no barrier to feel the emotions, love, warmth and tears. The character of the son in the movie is quite similar to my current situation in life. The urge and desperation of knowing your mother, her life before us is unstoppable and the need and attempt of doing so by the son is what I am currently I experiencing too. Although the movie was not much about the son, but that was the part, which motivated me towards my research. I became more determined to write about my mother and portray her in best possible manner. It made me realize that how I want my mother to be portrayed. Not as a pitiable person suffering from so and so disease but as a strong willed lady who brought me up and made me what I am today. I want my viewers to recognize her for what she had struggled for and what she is still struggling for. The movie definitely was an unforgettable emotional experience for me. Another foreign language movie and true story of a young boy found living alone in the woods of France in the 1770’s. Movie is about this boy who is unable to communicate as he was left in woods since birth and after 7-8 years caught by hunters is bought to deaf and dumb centre. There Doctor Itard who has an amazing dedication to tame the wild child takes the case. The movie revolves around the child, the doctor and the caretaker. The doctor who is trying tirelessly to teach the boy day and night on his failure sometimes would punish the boy and later realize his own wrong behavior. It led to self realization of how sometimes while taking care of a patient while loosing temper on them we forget that they are the ones who is suffering, who is in pain and hence they need to be handled with love and respect. It also made me think about the way my mother must be feeling about her illness and the way people around behave with her. Therefore taking a step ahead to alter my own behavior towards my mother.